This quote, from Konstantin Stanislavski, is a bit of a warning to actors not to get caught up in the trap of their own vanity. In other words, the actor, according to Stanislavski, must only be concerned with the art they produce, rather than their own image, their own hype, their own celebrity. It was one of the reasons he refused to practice his lines in front of a mirror, a habit he had picked up earlier in his career. He believed the actor must focus on finding truth by looking at themselves from the inside, rather than focusing on themselves from the outside. Konstantin Stanislavski (January 1863 – August 1938) was a Russian actor, master teacher and theatre director. His tireless work to unlock blockages that he thought limited his acting performances and those of actors whom he directed, led him to develop new acting strategies and techniques. These strategies, once organized, would go on to shape the way all actors would approach the craft. For this reason, Stanislavski is widely considered the father of modern acting theory. 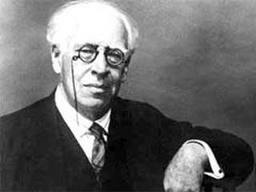 With the emergence of his techniques, which became known as the “Stanislavski System”, Stanislavski focused on inner motives and subconscious behavior as the basis of performance, rather than external, physical and vocal behaviors. His system, a game-changer in the craft of acting, would form the basis for other popular acting techniques, such as the Meisner Technique, created by Sanford Meisner, and the teachings of legendary acting teachers like Stella Adler and Lee Strasberg.